The perfect couples’ getaway. A young couple wanted a new home to begin their lives together and raise a family. 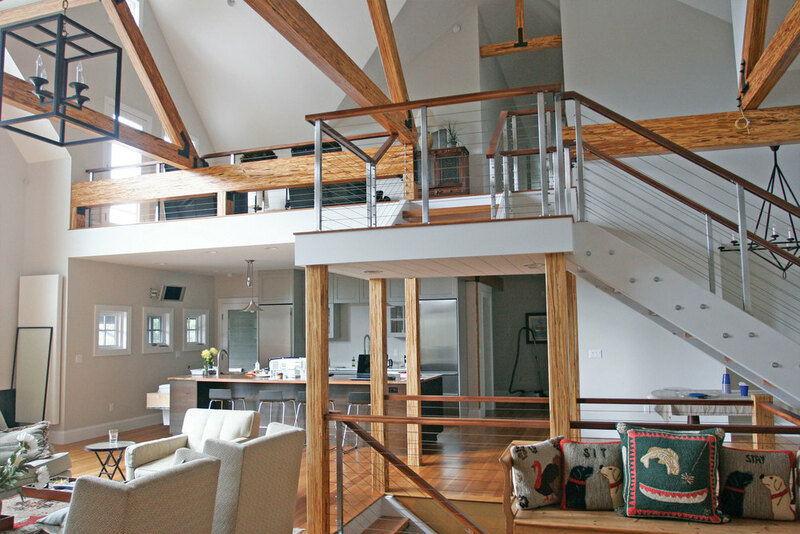 Located in Newbury, New Hampshire, their property was on a mountainside overlooking Lake Sunapee below and spectacular views of the ski slopes on the neighboring mountains beyond. The concept focused on the number three representing parents and child, which is carried throughout the design. However, the success of the house would not have been possible without the original vision of our client.